Posters: Destroy mosque, build 3rd Temple now! Editor's note: The Bible is clear: There will be a third Temple! Always watch what happens in Jerusalem! Jewish activists in Jerusalem are using buses to deliver an in-your-face message to Muslims by calling for the immediate destruction of the Al Aqsa Mosque and the Dome of the Rock on the city's disputed Temple Mount. The bulldozing of the Muslim holy sites, say leaders of Our Land of Israel, will pave the way for construction of the Third (Jewish) Temple. "The Arabs and President Obama know that the Temple will be built on the Temple Mount," said Rabbi Shalom Dov Volpo, the group's founder, "instead of the temporary buildings that are there today." According to the Jerusalem Post, 200 buses now carry posters picturing the Third Temple sitting atop the mount alone – with no Muslim buildings in sight – along with the words, "May the Bais Hamikdosh [Holy Temple] be rebuilt speedily and within our days." Editor's note: Notice that those "death panels" that Sarah Palin was blasted over, by these libs claiming they were not in Obamacare, now are in the bill! And the libs love it! The Bible says, "those that loves death, hates God!" Consider that! These people are evil. The comments from Krugman, who writes on the New York Times blogs, came during a discussion of "Obamacare" about the time it was adopted by Congress. As Democrats, after a Sunday rally on the Capitol grounds, marched to the House hand-in-hand to vote for health-care reform, tea partiers reportedly shouted the "N-word" at John Lewis and another black congressman. A third was allegedly spat upon. And Barney Frank was called a nasty name. Americans are indeed tired of lying politicians, but the only crap being put forth here is by Graham. And it’s not just Axelrod who is pointing out the similarities between the Democrats’ healthcare plan and Mitt Romney’s Republican model — everyone is. Is your 401K safe from Obama?? A key labor union ally of the Obama administration has mounted an effort to create government-mandated worker retirement accounts as an entitlement program, with the possibility that a portion of all private retirement funds could be forced into U.S. Treasury debt. Branding the program "Retirement USA," the Service Employee International Union, or SEIU, has joined with the AFL-CIO, the Economic Policy Institute, a Washington-based economic left-leaning think tank that receives substantial labor funding and two other left-leaning interest groups, the Pension Rights Center and the National Committee to Preserve Social Security. Retirement USA promotes the concept that all workers in the U.S. have a right to a government account that would fund a secure retirement in addition to Social Security and private workplace programs such as the 401(k). "Our goal is to involve all workers and all employees in a government-mandated retirement program, with the government putting up the difference for lower-paid employees," Nancy Hwa, a spokewoman for the participating Pension Rights Center, told WND. Retirement USA would require by law employers and employees to contribute to a retirement account for every employee and demand that a portion of that contribution go into a federal-government-created annuity that would be funded by purchasing Treasury debt. Cleanup and repair work will continue through the weekend at the spot where a train barely avoided plunging into the Intracoastal Waterway early Friday morning. The train derailed on a trestle in the Centerville area of the city, about 5 a.m., and the locomotive spent the rest of the day hanging over the water. The fuel tank ruptured, sending about 1,700 gallons of diesel into the water. By Friday afternoon, about 550 gallons had been removed. MORE PLUS PHOTOS and VIDEO! We've all asked the question from the age of 2. Why did the universe have a beginning but not God? If God didn't have a beginning why should the universe have a beginning. Couldn't the universe just have always existed? Why a need for God? The answer is found in understanding why the universe had to have a beginning. Science supports Einstein's claim that the universe is a closed system. That means it has finite energy. Even though energy cannot be created or destroyed (by any natural processes), over time the useful energy in the universe becomes more and more useless. This is known in science as the Second Law of Thermodynamics. If the universe were eternal then all of the energy would have become totally useless by now and I wouldn't be writing this article and you wouldn't be reading it either! Americans will be required to buy under the law will cost $12,000 per year. The average family plan will cost $15,200. (CNSNews.com) - The U.S. House of Representatives voted 219-212 on Sunday night to socialize health care in the United States, making the government the paymaster of, and giving it sweeping regulatory authority over, the U.S. health care industry which represents one-sixth of the U.S. economy. This is what ObamaCare will look like! Our knight has come to save us all. Maryland resident Shirley Allan holds a sign during an anti-war rally in Washington, D.C., Saturday. "Easter" is such a pretty-sounding word, isn't it? I could not agree more with people becoming aware of the story of Jesus' death and return to life. It shows us the path to becoming born into the actual Family of God, as the Bible indicates many sons and daughters will be brought to glory as the immortal "children of God." Yes, the Bible is completely true, but you may never have heard the spectacular, ultimate destiny God has in store for you. It's far more glorious than just floating around on clouds in heaven! 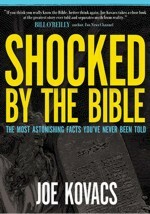 Find out what you've never been told, direct from your very own Bible! But brace yourself, because there's a very dark side to this centuries-old tradition, and it has to do with the famous Ten Commandments of God. Caterpillar Inc. said the health-care overhaul legislation being considered by the U.S. House of Representatives would increase the company's health-care costs by more than $100 million in the first year alone. In a letter Thursday to House Speaker Nancy Pelosi (D-Calif.) and House Republican Leader John Boehner of Ohio, Caterpillar urged lawmakers to vote against the plan "because of the substantial cost burdens it would place on our shareholders, employees and retirees." Caterpillar, the world's largest construction machinery manufacturer by sales, said it's particularly opposed to provisions in the bill that would expand Medicare taxes and mandate insurance coverage. The legislation would require nearly all companies to provide health insurance for their employees or face large fines. Now the question....... Could this be the case in Hawaii? Makes one wonder! On July 1, all Puerto Rican birth certificates will become invalid. U.S. officials say a big percentage of fraudulent applications for U.S. passports or social benefits use Puerto Rican birth certificates. So the Puerto Rican government is requiring everyone born on the island to apply for new ones. Among many Puerto Ricans, there's confusion and resentment over the measure. Offshore oil production makes economic sense. It creates jobs and helps fulfill America's vast energy needs. It contributes to the gross domestic product and does not increase the trade deficit. Higher oil supply helps keep a lid on rising prices, and greater American production gives the United States more influence over the global market. Is it too late to save U.S. from God's wrath? While the nation is riddled with soaring debt, government expansion, abortion, declining morality and a raging culture war, Christian and Jewish leaders are urging Americans to stop shaking their fists at their television sets and come seek the real solution to today's moral crisis by calling out to God from the nation's capital. "May Day: a Cry to God for Our Nation in Distress" will take place May 1 from sunrise to 2 p.m. at the Lincoln Memorial in Washington, D.C. They will all gather for one purpose: repentance. The group will repent for how the nation has turned from God in every area of influence: 1) business 2) government, 3) media, 4) arts and entertainment, 5) education, 6) the family and 7) religion. "We're headed for a cliff," explained WND columnist and Faith2Action President Janet Porter, a coordinator of May Day. "Short of calling Congress and waiting for November, this is what to do: Fast and pray for our country in distress. On May Day, the national distress call, we won't be aiming our message at the Washington elite nor at media activists. It's aimed at God." Porter called on Christians to take part in a 40-day fast prior to the event. She said participants will give up something important to them in the days leading up to May Day. "We just want God to know we're serious about standing in the gap for America," she said. "We are calling the remnant to come and repent. It's a two-fold plan to not only pray but to proclaim what our founders believed – that we are one nation under God." Vision America President Dr. Rick Scarborough added, "We need to let God know we're serious about turning back to Him and fasting from something – whether it's television, dessert or food – will provide the breakthrough we desperately need as a nation." A lawsuit has been prepared by the Landmark Legal Foundation to be filed as soon as – and if – members of the U.S. House use a trick that has been dubbed the "Slaughter rule" to advance President Obama's vision of socialized health care in the United States. The action was announced today by Mark R. Levin, the president of the foundation, who said the use of the so-called "deem and pass," "self-executing," or "Slaughter rule" to enact H.R. 3590 would result in an immediate legal challenge. "If this tactic is employed, Landmark will immediately sue the president, Attorney General Eric Holder and other relevant cabinet members to prevent them from instituting this unconstitutional contrivance," the announcement said. The institution, in fact, already has posted a draft of its legal challenge online. The plan, which has found favor with House Speaker Nancy Pelosi because "people won't have to vote on the Senate bill," would allow the U.S. House to simply "deem" the Senate proposal approved in the House without an up-or-down vote on the plan. Speaker of the House Nancy Pelosi, D-Calif., is accused of using legislative trickery to push through health-care reform. America's system of government based on the U.S. Constitution is being overthrown through illegal legislative "trickery" Congress is using to pass controversial health-care reform. That's the conclusion of some on the political right who are calling for the impeachment of Speaker of the House Nancy Pelosi along with the defeat of the health legislation. "This is the overthrow of the U.S. constitutional system, orchestrated from the White House through the House of Representatives, Nancy Pelosi and Harry Reid," said radio host Rush Limbaugh today. "This is beyond rational explanation and description. This makes Watergate look like Romper Room." At issue is the possibility that reforms pushed by President Obama and other Democrats will be approved without ever actually having a direct vote, but could be "deemed" to have been passed, then signed into law by Obama. The process is called the "Slaughter Strategy," named for Rep. Louise Slaughter, D-N.Y., who chairs the House Rules Committee. Wake up, America! Your country is about to disappear. Read Mark Levin's No. 1 best-seller "Liberty and Tyranny: A Conservative Manifesto"
Discussing the need for this procedure, Pelosi said: "I like it, because people don't have to vote on the Senate bill." Indeed, Democrats could actually vote for the rule, yet still claim they're against the Senate bill. The Feds are on Facebook. And MySpace, LinkedIn and Twitter, too. Think you know who's behind that "friend" request? Think again. Your new "friend" just might be the FBI. "There's a crime called misprision of a felony. Misprision of a felony is when you don't report a crime. So you're getting into pretty deep areas here in these considerations." -- U.S. Senator Arlen Specter on March 12, 2010. Even as the drama of health care carries the headlines, beneath the surface, visible now, the iceberg of scandal ripples. Forward: As a a kid, my father was the foreman of the Nestle plant in New Milford Ct. and I am very familiar with HPP Hydrolyzed Plant Protein; a product that Nestle's had a monopoly on for years. Basically every single "processed" food you ever bought had this in it. It was a poison! If a raccoon got some of it in the dumpster, it wouldn't make it 10 feet before it would drop dead and die! The MSDS sheet on this product is much worse than any paint that I make, and I don't sell our paint as a food additive! Nestle's secretly sold this part of their business out several years ago because they probably knew what was coming. They sold out their employees as well! What's new. Now take some time and read about the horrors of this food additive that is in everything you consume!